There’s been too many times to mention that I’ve stumbled across bands that I really liked but had never heard of before only to find out that never hearing of “said band” does not equate to them being new. Add Hamilton, Ontario’s Arkells to that list. 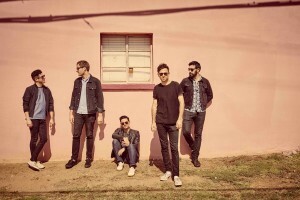 Rewind to August 2016… Arkells had just released their fourth full length L.P. Morning Report when it popped up on my Spotify recommendations. Needless to say, from that moment I was hooked on their sound, which is a combination of alternative and indie. All the while, keeping pop sensibilities as well. Again, unknown doesn’t equal newness or success for that matter. 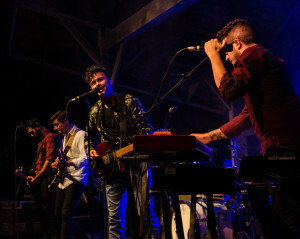 Arkells, which formed in 2006, have a grand reputation of being road dogs and also winners of the 2012 & 2015 Juno Awards for Group of the Year along with the Juno for Rock Album of the Year that same year. Unfortunately, like me several months ago the lion’s share of the crowd weren’t familiar with Arkells. That would soon change! By the time that the Hamilton, ON natives took the stage the chill of the early fall West Michigan air had taken over as the sun headed south. Vocalist Max Kerman led the band into the set opener, A Little Rain (A Song For Pete) certainly helped the Kalamazoo locals and the several “Torontonians” in the front row that made the 5+ hour drive combat the October crispness (the beer didn’t hurt the cause either). In all, Arkells set time was short (six songs in total) but with sniper like precision, each precious second was used to perfection. For example, Max Kerman jumping off stage and heading into the crowd or keyboard player Anthony Carone playing a few bars of three Elton John songs that had been called out from the crowd or something as simple as recreating the sound that’s heard on the record. By doing those things, Arkells drew the crowd in and never let them go. 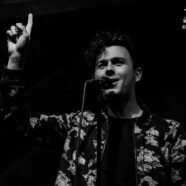 Between the recordings and the live performance, it’s obvious to see why Arkells is wildly popular in Canada. I hope that listeners in the U.S open their ears, take off their blinders and give themselves a chance to fall in love with Arkells.